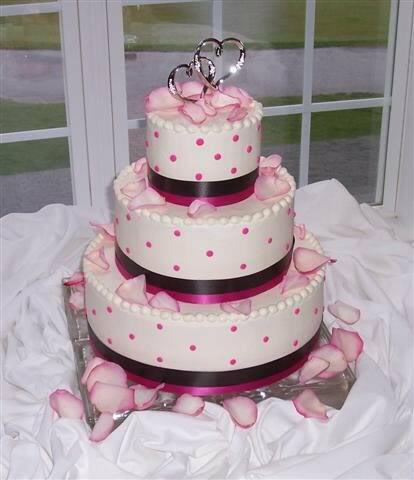 This 3 tier wedding cake sported 2 bands of ribbon, bright pink and black. Dots in bright pink and fresh rose petals were scattered about the table. Two hearts entwined was placed on top with more rose petals. Beautiful cake! I like the modern design.